Adult Bengalcse finches emit sexually dimorphic distance calls which are used to locate each other when visually separated. Distance calls of adult females are amplitude modulated while those of adult males are not. We studied the ontogeny of sexual differentiation in these calls. Before 50 days of age, both males and females emitted amplitude modulated, female-type distance calls. After day 55, juvenile males began to emit adult-male type distance calls which were not amplitude modulated, whereas females continued to emit amplitude modulated distance calls. In males, the transitional period coincided with the onset of subsongs. 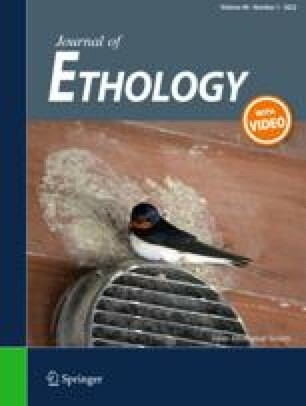 These results suggest that the sexual dimorphism of the distance calls in Bengalese finches involves hormonal and developmental processes.